Wendy has been a part of Stapleton Chiropractic for over 30 years in various roles including Chiropractic Assistant and Practice Management. She brings 20 years Nursing experience including Laser Safety Certification to operate Medical Grade IV Lasers into our practice. 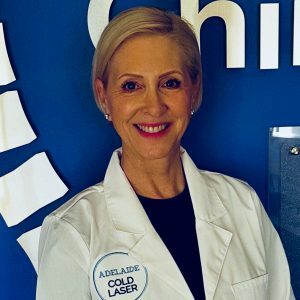 Using her laser skills and years of experience caring for other, Adelaide Cold Laser was developed to further the healing experience for not only our existing patients but for the wider community. This exciting healing modality has further improved the results of our chiropractic patients and Wendy is constantly attending seminars both locally and overseas to be at the cutting edge of this technology. Click to read more about Adelaide Cold Laser.